Obituary – Bowles, Edward Shrader « Perry High School Alumni Association, Inc.
Graveside rites have been set for 2 p.m. Monday at Grace Hill cemetery for former Perry postmaster, Edward S. Bowles, 84, who died unexpectedly Friday morning at his home at 402 South West street, Stillwater. Arrangements will be under direction of Strode Funeral home of Stillwater. Bowles was born Jan. 14, 1902, at Perry, the son of Judge William M. and Clara Margaret (Shrader) Bowles, and spent the greater part of his life here. 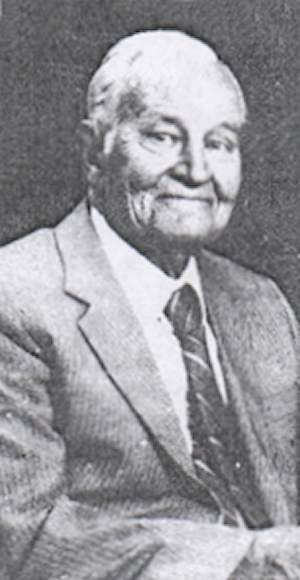 He attended Perry public schools and was a 1919 graduate of Perry high school. In 1926, Bowles received his law degree from the University of Oklahoma. He served one term as county attorney in Noble county after which he entered law practice with his father. He and Marjorie Laird were married Sept. 17, 1934, in Perry. He was appointed postmaster of the Perry post office in 1934 and served in that capacity for some years until he requested transfer to a rural mail route. Bowles was a rural mail carrier until he retired in 1967. He sang with the choir of the First Presbyterian church at Perry and occasionally played the violin. In addition to Mrs. Bowles, he is survived by four sons, James E. Bowles, Los Angeles, Calif.; John C. Bowles, Winston-Salem, N.C.; Joseph S. Bowles, Rocky Mountain, N.C.; and William W. Bowles, Oklahoma City; three daughters, Ann Henry, Tulsa; Jean Bowles, Stillwater; and Jan Hempfling, Enid; three sisters, Ellen Hendrickson, Tulsa; Claire Fellow, Parker, Colo.; and Mary Maughan, Wayzata, Minn.; and 15 grandchildren. Bowles was preceded in death by an infant son.